Mechanicsburg Schools held its Homecoming Parade on Wednesday. 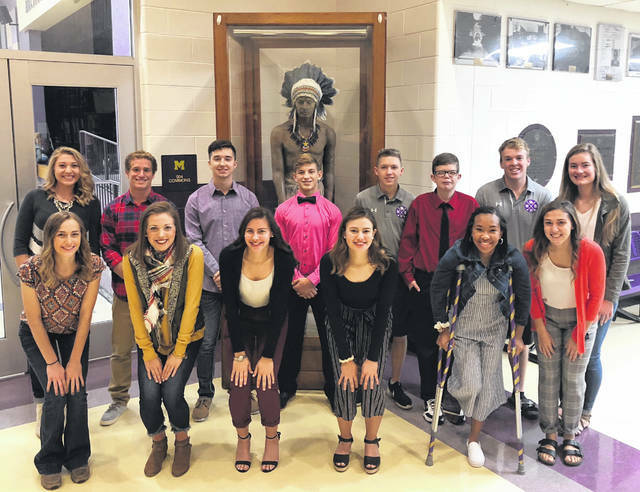 The Homecoming Court is, front row from left, Taylor Ayars, Kam Loveless, Lilly Cushman, Kerrigan Cushman, Kaylee Warfield, Bella Link, back row from left, Kendall Growdon, Joey Mascadri, Chris Taylor, Westyn Moyer, Wyat Bowman, Xavier Poole, Jack Shoemaker and Elly Schipfer. The homecoming game is Friday.